The 2015 Batch Burner will take place on Saturday 6th June. Entries open on Sunday 25th January at 6pm. Established in 2013, The Long Mynd Batch Burner takes place on the first Saturday in June each year. Organised and run by volunteers the Batch Burner promises to be the most fun and friendly Mountain Bike Challenge event that you can enter. Local councils are pulling funds away from small rural primary schools making it harder for them to survive but with the help of the PTA, the local community and a little bike shop with a big heart we are not going to let them win. 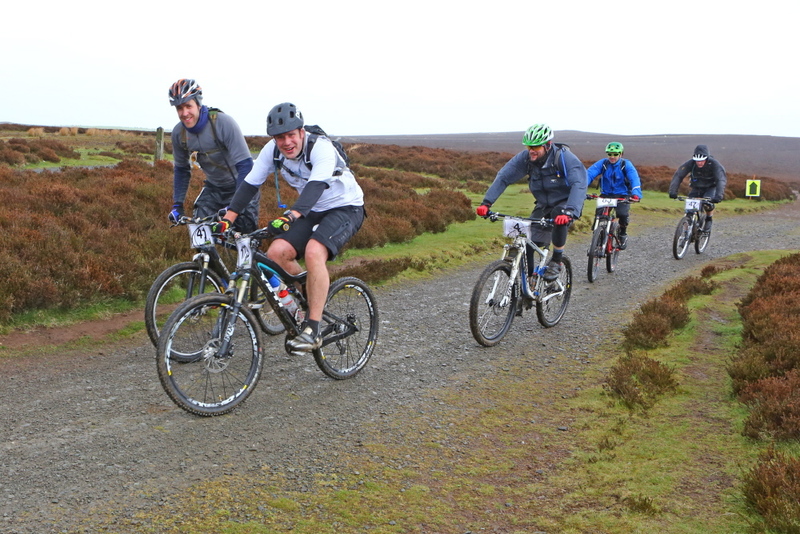 So on 11th May 2013 the first Long Mynd Batch Burner challenge mtb event took place on the Long Mynd in Shropshire. Showcasing 48k and 4000ft of the best of the Long Mynd’s trails it left you with sore legs and huge grins. A collision of circumstance has brought together the PTA of Norbury Primary School (a tiny rural school located behind the Mynd) with Church Stretton’s local cycle shop Plush Hill Cycles to organise the event. Also building on the work of the local mountain bike community and the major land owner National Trust everything has come together to offer what promises to be a well organised and relaxed event taking in all of the best singletrack in the area. The event will be a mass start challenge event, so no racing, it’s all about having fun and raising funds for Norbury Primary School (all profits will go to the School). Places are limited to 350 riders in 2014 to minimise the impact on the natural trails and avoid singletrack bottle necks. Your entry fee will include the usual race support and on arrival back at base live music and a barbeque plus a Batch Burner goodie bag. There will be a bar and plenty of cake too.